In 1964, the Guarneri String Quartet became the first of many major chamber ensembles to form at Marlboro. 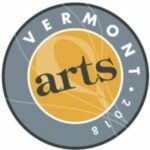 Since then, many other artists who spent formative summers in Vermont would go on to form or join other ensembles that have changed the chamber music landscape. When the Guarneri was founded, Musical America’s Directory of the Performing Arts listed 113 chamber ensembles; today, that list contains some 650 groups. Marlboro Music is widely credited with playing a major role in this remarkable growth and in a similar increase in the number of chamber music concert series and festivals active today throughout the U.S.